Voodoo Rituals with authentic drums, chants and dances. These rituals are meant to bring you the many blessings of the Loa and Orisha and guide you towards your purpose. Yet they also offer a fascinating journey into one of the richest cultural and religious tradition in America today, yet so often misunderstood and misrepresented. Each Voodoo ritual is a unique happening, that will mesmerize and bring many blessings in the future. We have offered beautiful rituals for many diverse functions from birthday parties, to grand openings, to festivals in many different locations (Louis XVI Restaurant, Windsor Court Hotel, Cajun Queen Steamboat, Aquarium of the Americas, Tipitina's, Pitot House etc.) Because of the unique authenticity of our rituals, we require a great deal of time for meditation, preparation and work. Do not delay in calling us and making your plans for that special occasion. 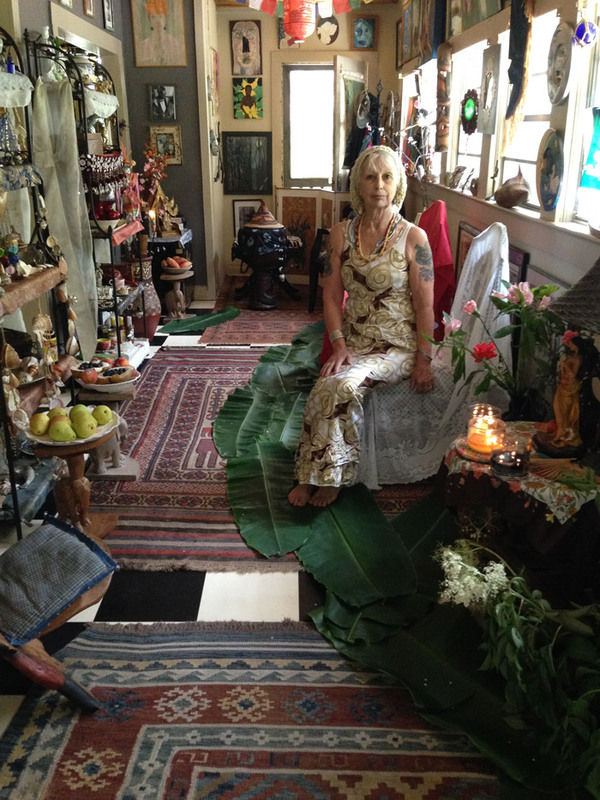 Each Voodoo ritual includes service to specific Loa and/or Orisha, specifically chosen by Reverend Severina and the other participants after meditation and consultation with the Spirits. Offerings are made and dances are ritually presented. These can include Flag Dances, Haitian style Court Dances, Fire Dances, Machete Duels and Snake Dances, Authentic drum beats and chants accompany the proceedings, often in Creole or Lucumi. Blessing Rituals are available for parties, bachelorettes, children's groups and more. The Louisiana Wetlands : their fauna, flora and Spirits. Palm, Tarot, Bones & Stones and Psychic readings with Reverend Severina and other Voodoo Priests & Priestesses. * On-site authentic Voodoo Doll Making. 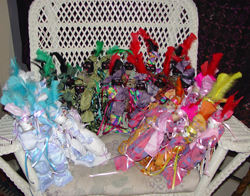 We bring all the supplies and make authentic dolls for your convention or party guests, each custom made for luck, love, protection etc..